Confused about Italian wine labels? If so, you are not alone. Understanding wine labels on Italian wines can be quite a challenge. Keep reading to get tips on how to understand the Italian wine label, Italian wine classification and what key information to look for or to avoid on the label. Italian wines are labeled in different ways. Some are labeled by the grape variety (eg, Sangiovese), some by the wine-making district or village (eg, Chianti), some have proprietary names invented by the particular vineyard, and some have an indicator of the wine classification levels below (DOC, DOCG or IGT). In Italy, wines are labeled according to a classification system that roughly indicates the quality of the wine (like the French appellations or AOC which you can read more about in this article on the French wine label label). DOC – short for Denominazione di Origine Controllata. This basically means that the wine meets certain requirements set by the DOC for that specific region: variety of grape, how long the wine has been aged, maximum yield of grapes per acre, minimum alcohol content, etc. There are several hundred different DOC wines. DOCG – short for Denominazione di Origine Controllata Garantita. This is the highest quality classification, with the wine meeting some additional quality criteria in addition to DOC requirements. There are only about two dozen DOCG wines. IGT – this stands for Indicazione Geografica Tipica or literally "typical place name". These wines do have some requirements on region and grape variety, but are less strict than DOC or DOCG. However, this is not necessarily an indication of lesser quality. Some very good Italian wines are labeled IGT because the winemakers do not want to be bound by such stringent governmental requirements and want to be freer to experiment with newer winemaking practices. 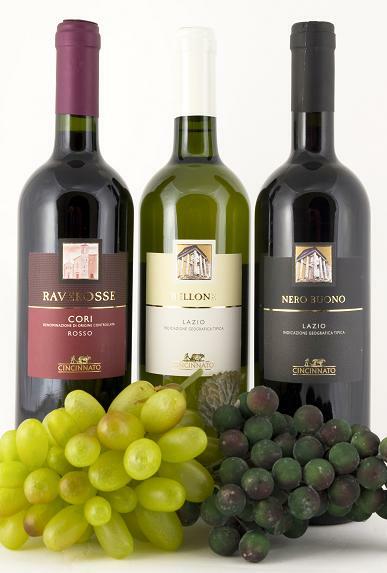 Wines that do not meet the requirements to be classified as DOCG, DOC, or IGT are called table wines or vino da tavola. Again, some excellent wines will be classified this way for the same reason as for IGT. An example is the "Supertuscan" wines from Tuscany. Italian wine labels will sometimes indicate the grape varietal. However, the names may not be familiar ones if you do not already know Italian wine, due to the unique climates in Italian wine regions. For example, you may see Sangiovese (used to make Italian Chianti), Nebbiolo (used in Barolo and Barbaresco), Barbera, or Dolcetto on red wines, or Pinot Grigio on white. Secco – this indicates a dry wine.